Our second round of co-champs this season. Will one take the rematch – or will the lone challenger spoil the party? It’s Shane by a mile heading into Final. 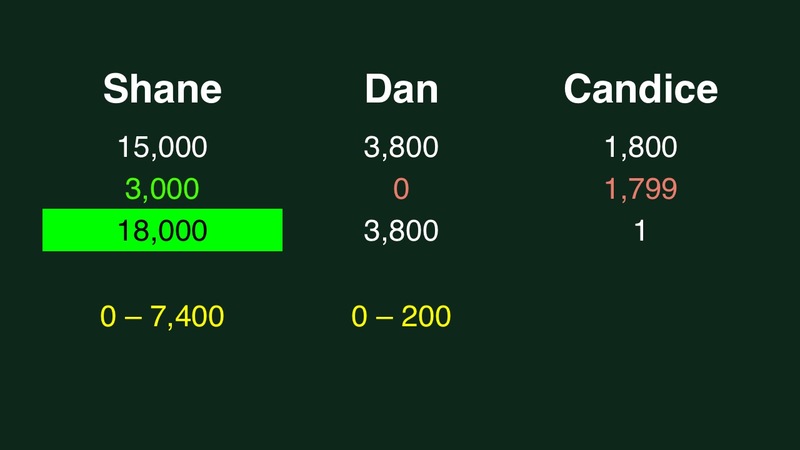 Dan, similarly, has second place locked up. Shane can risk up to $7,400 of his winnings. 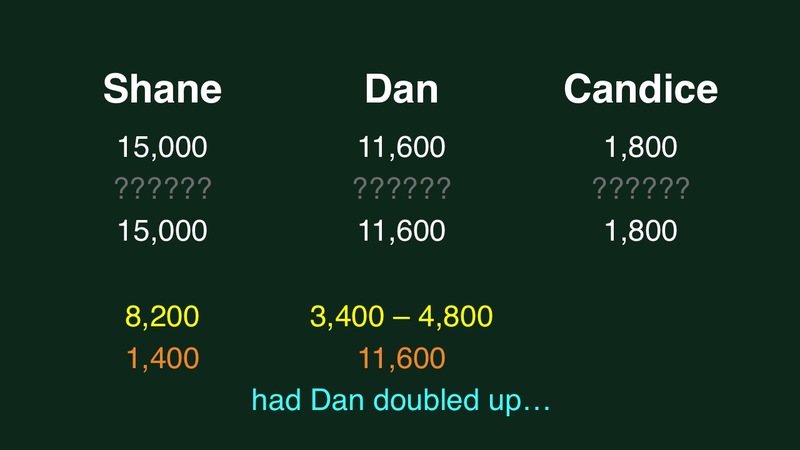 Dan, if he really wants to, can wager up to 200, but there’s no real need to do so since second prize is fixed at $2,000. 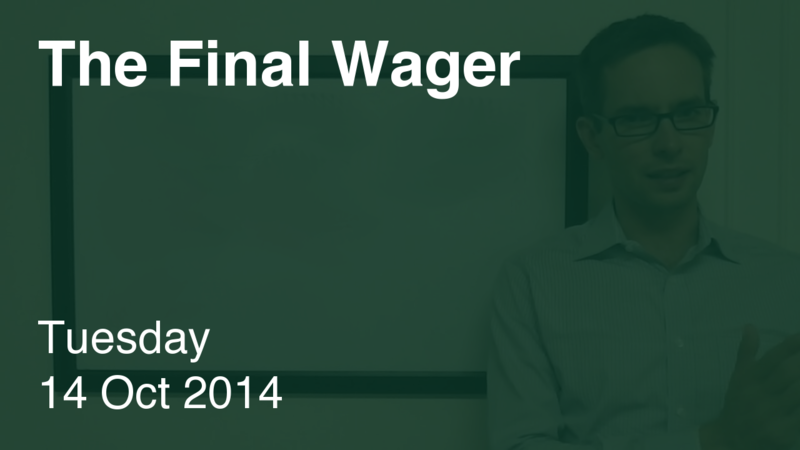 I’m sure you want to know all about Dan’s Antepenultimate Wager. His wager was sufficient to put him into contention in Final, but an all-in and a correct response would have put him in favorable “mind games” territory against Shane in Final. Better to double-up and get into mind games territory or to wager to go for exactly half of Shane’s total and get into a lock-tie scenario? Good idea – if you think they won’t get to that last clue (which they didn’t). The downside is if that $400 clue is revealed and either Shane or Dan rings in the lock-tie could get spoiled.